Looking for a way to keep track of what's currently happening in our forums? You've found it! Keep this handy-dandy thread on watch and you'll be able to find out about everything our forums have in store for you as soon as it's posted. This thread will now be used as our Main Watch Thread. Join us as we "Re-live the magic!" Welcome to Life After Hogwarts! Have you ever wondered how young witches, wixes, and wizards decide what job they'll pursue? Is there a "Take your Kid to Work Day" that guides them toward their career? Or maybe you're thinking they just hope for the best? Fret no longer, we've found the answer. It's clear to us that they must have held a Career Fair! Our Life After Hogwarts event will guide you into finding the right magical career. Also take a look at our monthly raffle thread for this event, also here in the Vault. Join us as we take a tour down our first magical department, The Ministry! We invite you to visit the Cursed Child forum, a new addition to the Magical Archive family. This is where we'll be hosting our first month of events for Life After Hogwarts. First, we have a discussion about the Ministry, Minutes at the Ministry. Ever been curious about those mysterious Unspeakables? Take a look at A Day in the Life: Unspeakables! Be sure to keep this thread on watch for more updates! Working on catching-up after vacation! Please poke me if you need something before I work my way to it. It is time for Tom Riddle to be remembered! Which means, that for this very special month, Tom will be crossing back over now and again to interact with us! Do you have something that you've always wanted to say to him? Please join us in paying tribute to this beloved Character in his Memorial thread here. Don't forget to review the forum's guidelines here. So go feel all the feeeels and give Tom all the love of our HEX community! Some may have noticed that our Patronus and Animagus quizzes found in the Prisoner of Azkaban and Deathly Hallows forums have been closed. Those who have submitted their quiz results will get their avvies shortly. We have something very exciting in store for everyone, and the quizzes will re-open soon. Thank you for your continued support! Badgers check out Huffie's dorms- Helga's Hollow! Study w Sprout in F/705! An Auror is a member of an elite unit of highly-trained officers tasked with upholding the law and protecting the magical community from large-scale threats and harm. Becoming an Auror is no easy task. Aside from excellent academic credentials, a prospective Auror must be accepted into Auror Training. Under this program, the applicant is required to undergo a stringent series of character and aptitude tests, as well as extensive advanced magical combat training and methods of criminal investigation. Training lasts for three years. The job might be seen as glamorous by many, but there is also a great deal of danger involved. Ever wonder just how difficult an Auror’s job is? Or do you find it rather exciting? Then take on the role of becoming one and attempt to solve the Murder at the Ministry. Be sure to keep this thread on watch for more updates! The Misuse of Muggle Artefacts Office, may not be as glamorous as the Auror's Office or as mysterious as the Department of Mysteries, but we still do a very important job! Join us and help us solve the Misuse of MA Spot the Difference to circumvent catastrophy. Remember to keep this thread on watch to receive new updates. Ever wondered what it was like to be an Animagus? Ever want to explore with the Marauders or maybe even Newt Scamander? Well, wander over to our new contest, Amato Animo Animato Animagus and explore the art of becoming an Animagus with us. Here is a list of what we currently have going on our various forums! Participating in some of the events here can give you raffle tickets for our Life After Hogwarts raffle, along with a chance at winning your very own Book of Records. Welcome back to Life After Hogwarts! Here in the Archives we are delving into yet another wizarding career as a part of our Life After Hogwarts event. This month you will be able to experience what it's like to be a Magizoologist! Join Newt Scamander and some of his friends while they hang out with some fantastic beasts and explore further what it's like to care for these creatures as well as tame them. Keep your eyes peeled - some of these familiar faces might actually show up in the forum for the duration of the event! 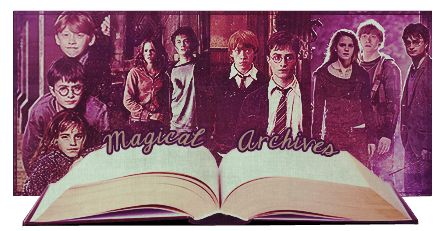 We invite you to visit the Fantastic Beasts forum, a new addition to the Magical Archives family. This is where we'll be hosting our second month of events for Life After Hogwarts. First, we have a discussion about Newt and his trunk of beasts, An Archives' Anthology of Beasts, in addition to a preview of things to come in the Fantastic Beasts forum. We also remind you to take a look at the Raffle Thread in the Vault, as a new monthly raffle will be added for each month of the event. Stay tuned, as there will be more activities coming up as the month goes on! Have fun! It is time for Nymphadora Tonks to be remembered! Which means, that for this very special month, Tonks will be crossing back over now and again to interact with us! Do you have something that you've always wanted to say to her? Please join us in paying tribute to this beloved Character in her Memorial thread here. So go feel all the feeeels and give Nymphadora Tonks all the love of our HEX community! FANTASTIC BEASTS AND HOW TO CARE FOR THEM! As we all know, Newt Scamander spent a large portion of his life taking care of and befriending various magical creatures and beasts from all over the world. He eventually extended his knowledge in his published book, Fantastic Beasts and Where to Find Them in 1926. Do you watch Newt with his trunk of beasts and wish you could have a magical creature to take care of too? Well, now is your chance! We invite you to visit Fantastic Beasts and How to Care for Them and see just what we have in store for you! Newt Scamander isn't the only one who loves beasts! Of course, as we all know, Rubeus Hagrid does as well, sometimes to his detriment, and he always wanted a dragon to call his own. In 1992, he won a dragon egg from a mysterious man in a pub, and Norbert was born. Hagrid was not able to keep Norbert long, but his love for dragons never diminished. Dragons come in all shapes and sizes, and there are many different breeds. They all look unique from their scales down to their eggs. We invite you to visit Debonair Dragon Designs to design your very own dragon egg! 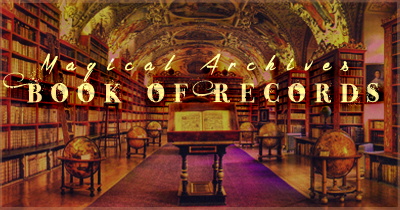 Head on over here to congratulate the winner of this month's Book of Records! As we all know, Newt Scamander spent a large portion of his life taking care of, befriending, and even losing various magical creatures and beasts from all over the world. He ran all over New York City in 1926 looking for an array of beasts that escaped from his enchanted suitcase. You may not be able to look for real beasts, but we have some missing words that need finding! We invite you to visit Fantastic Words and How To Find Them to help find all the missing words! Have you ever wondered what mischief the Marauders were up to during their time at Hogwarts? Wonder no more and join us HERE to tell us how you think a meeting of the Marauders went! Here is a list of what we currently have going on in our various forums! Participating in our events will earn you tickets towards our Life After Hogwarts raffle, along with a chance at winning your very own Book of Records. Another month has begun, which means the Archives will be exploring another career path in our Life After Hogwarts event. This month you will be able to experience what it's like to work at the best wizarding school, Hogwarts! Have you ever imagined what it would be like to be a professor at Hogwarts? Or what kind of club you would create if given the opportunity? We invite you to visit the Philosopher's Stone forum. This is where we'll be hosting our third month of events for Life After Hogwarts. Up first, we have a discussion about the curriculum and professors of Hogwarts, Crazy Curriculum. Check out the Life After Hogwarts Raffle Thread in the Vault, as a new monthly raffle will be added for each month of the event. Stay tuned, as there will be more activities coming up as the month goes on! Have fun! It is time for Bellatrix Lestrange to be remembered! Which means, that for this very special month, Bellatrix will be crossing back over now and again to interact with us! Do you have something that you've always wanted to say to her? 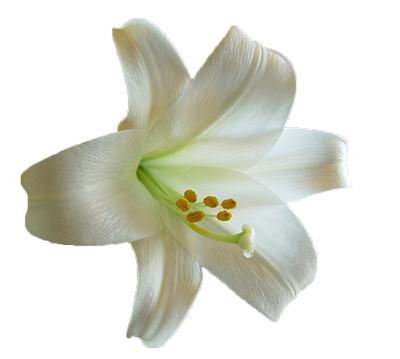 Please join us in paying tribute to this beloved Character in her Memorial thread here. So go feel all the feeeels and give Bellatrix Lestrange all the love of our HEX community! Have you ever thought about what kind of club you would organize at Hogwarts if given the opportunity? Well, now is your chance! Help Professor Dumbledore by coming up with a new extra curricular for students to participate in, part of our Life After Hogwarts event, here! Young Severus Snape had a very tormented youth. Join us in Hateful and Humiliated and help us shed some light on his relationship with the Marauders during their time at Hogwarts!